“Press coverage of Africa is essential, good and insufficient,” Assistant Secretary of State Johnnie Carson told a group of editorialists from the National Conference of Editorial Writers Monday in Washington. The head of the Bureau of African Affairs called for journalists to make sharper distinctions among the 53 states that make up the continent, 48 of which are Sub-Saharan. There’s progress on the continent, he averred, urging writers not to focus just on stories of death and destruction, wars and famine. Africa comprises not just authoritarian regimes but many with good governance. There is a democratic spring across the continent. There were just three democracies in the 1990’s. Today, some 20 sub-Saharan African nations are on their way to stable democracies. The United States has been actively involved in many of the 15-16 nations planning elections this year. Most notably, it has been helping Sudan bring about a successful referendum and transition to an independent state in the southern part of that country as of July 9. The United States isn’t alone in seeing Africa – with its enormous mineral resources and pressing human needs – as central to its interests. China has come in in a big way. It has made clear its overriding interest is to extract oil and other minerals to support its own burgeoning economic development. And many African states have fallen under its sway. A byproduct of this is China’s attempt to woo Africa away from the influence of American media. Unlike past administrations , we’re now told that United States Africa policy places Africa not at the periphery but at the center of our international interests. That policy has five “central pillars. • Strengthening democracy and good governance. Despite these generally applicable themes, remember, Africa is not a country. Differences among countries are real. Take climate change, for example. The snow caps in Tanzania will be gone by the end of the decade. There is diminishing water in Lake Victoria. Snow is gone from Mt. Kenya., and some of the great rivers, needed to drive turbines in Kenya, are not flowing. 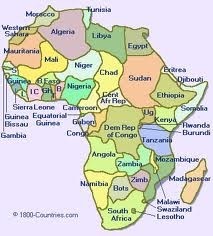 Africa has ten percent of the world’s population but 60 percent of AIDS cases, South Africa having the largest number. The State Department’s Feed the Future program is a principal tool for creating sustainable agriculture, where the problems are pretty basic: seeds, fertilizer, water management and inefficient distribution system. Africa, says Carson, is capable not only of ending hunger at the family level but beginning to export as well. He looks to Nigeria and the Democratic Republic of the Congo for vigorous movement to self-sufficiency. The bottom line: the media should look at Africa with as discerning an eye as we currently do in Asia, which itself was once considered a largely undifferentiated whole . 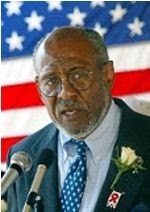 Thirty-seven years in the Foreign Service, most of them spent in different Africa countries, combine to make Johnnie Carson the consummate professional and one who can articulate what such a discerning eye can see in analyzing the multiplicity of peoples, problems and promise on the African continent, at the center of our international interests. This entry was posted in Uncategorized and tagged China, climate change in Kenya, Feed the Future program, State Department, Sudan referendum, US AID. Bookmark the permalink.